Let me start this off by saying that I have read the reviews on this site, and searched on google for more. I am also not riding the steepest, fastest terrain out there. I mainly ride Auburn, with a little bit of So Cal and Northstar, and I climb a lot in Auburn. I also am heavy, at about 220 pounds before gear. I will also be running 203mm up front and 180/185 in the rear. I am looking for new brakes, because I currently have Hayes HFX 9s on my Coiler, but I'm not quite sure what I want. I'm sure both will be way better then the Hayes though. I was going to go with the Saints, but they are Out of Stock at CRC, and they don't know when they will be in. Then I started reading about the Elixirs, and everyone seems to love them, but I still have some questions. 1. Has someone heavier (my weight or more) ridden with the Elixirs? 2. Do they have enough stopping power? 3. Is the cost and weight penalty worth it for the Saints (even with my riding conditions)? 4. Has anyone had issues with either of these brakes? 5. Has anyone ridden both? How do they compare? If I have any more questions that pop into my head I'll post them up, or if there is any information you would like to add that you think would help me decide, let me know! SMT, I know you will say the Saints are the best. I'm 215 before gear and race DH in CO. I will only ever run 4 piston brakes for that. When I ride XC/AM/trail/whatever you want to call it 2 piston seem to work fine for me. Some of the descents near Denver are 1,000+ ft vertical for reference. So if you're not riding super steep stuff at a race speed I'd say some one your size would be fine with the Elixirs. 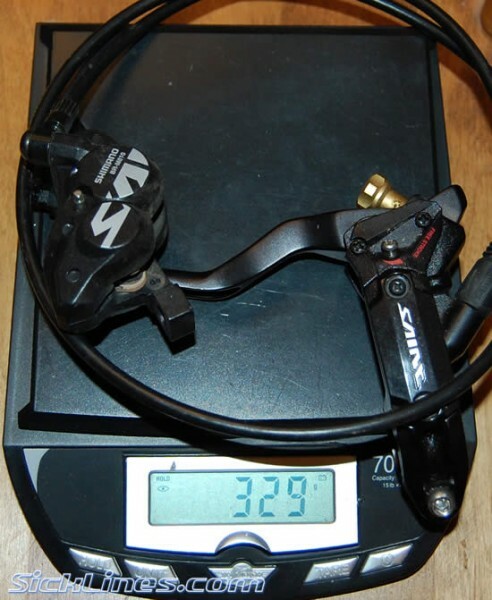 And to through some poo...I used to have J-7s on my trail bike but went back to my Hayes Mags - better than H-9s by far. J-7s fade on long descents and it bugged me. Elixirs are supposed to be better but I don't have time on them. You have just been mentally Rick Roll'd. Yup you're thinking about it right now aren't you? Don't fight it. I am 200 without gear and the elixir work great. The weight of the elixir cr is less than the saints. I have not used them but the saints are supposed to be the strongest / most powerful. I use the saints on my DH race rig, they are far more powerful. I mainly ride Auburn, with a little bit of So Cal and Northstar, and I climb a lot in Auburn. I also am heavy, at about 220 pounds before gear. I will also be running 203mm up front and 180/185 in the rear. tells me they are entirely unneeded and that the elixers will be a great brake for you. As an additional plus, they are probably in stock. very true....for your weight get better stopping power....I might look around for 08 or before saint breaks...easier to change pads. You can search my explaination later, so I'm not going into detail here. They are worth the weight...trust me these things will ROCK your socks off. I weight 185 tho...190 with gear on a Demo 7. It's all in the lever feel, nothing like Avid. you are bad at eating sandwiches! I got to work on some Elixers this week...brand new bike equipped with Elixer R's. Right out of the box they both needed to be bleed. After multiple attempts at bleeding the rear...DOA, no resuscitation... the front, problem solved with the first bleed...Avid was called explaining the scenario for the rear brake...their response...'Yes, sounds defected, new one being shipped today'....So dunno, haven't ridden them, but overall...I wouldn't buy them as they seem pretty 'cheap' in quality. Apart from whose brakes are lightest, most stopping power, price for the bang, etc....the one the thing I will say Shimano brakes has over all brakes is one of the most important aspects which always gets over looked....the most easily maintained brake system. So all in all, I always look at a hydro system as any part of your bike...what is the easiest for you the rider to keep maintained and running smoothly? The most baddest product doesn't do you any good if you yourself cannot keep it properly maintained...unless you are willing to drop it off at you locally trusted bike shop on a regular basis. Thanks for all of the replies. Does anyone know whats going on with the Saints? They are completely removed from CRC and BTI doesn't have any in stock either (just as a refrence). I may not have an option to go with them lol. I can't afford them anywhere else. Agreed, I noticed the same, They seem to be selling like hotcakes. I also really wanted to run all saint, but at almost 300 per wheel... ouch! They have been selling like hotcakes for this coming DH season. I imagine CRC has no idea when they will get more and are tired of answering emails about them. Dude if you need more power than my Elixir CR's have than you are a better man than me! 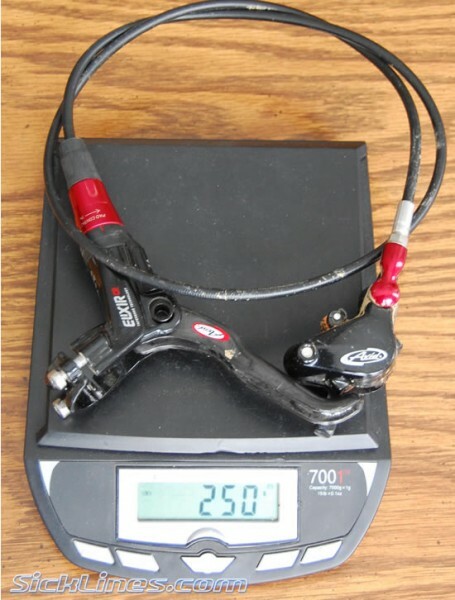 The modulation is better than any brake I have tried, I think that is more important. Power can be increased by larger rotors and the 203mm's I have are more than enough. BTW I am over 220 pds so they have been stressed.